CLAYTON (WTVD) -- One person is in the hospital following a multi-vehicle crash in Clayton Wednesday night. According to Clayton police, the two-vehicle crash happened before 10 p.m. near Highway 42 on Guy Road. 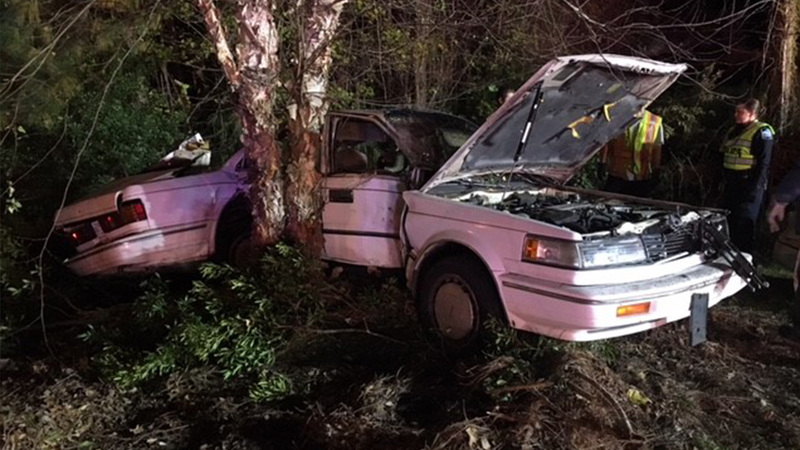 Police said after the two cars collided, they went off the roadway and hit several trees. While those involved in the crash were seen walking around following the incident, one of the driver's cars was cut in half.